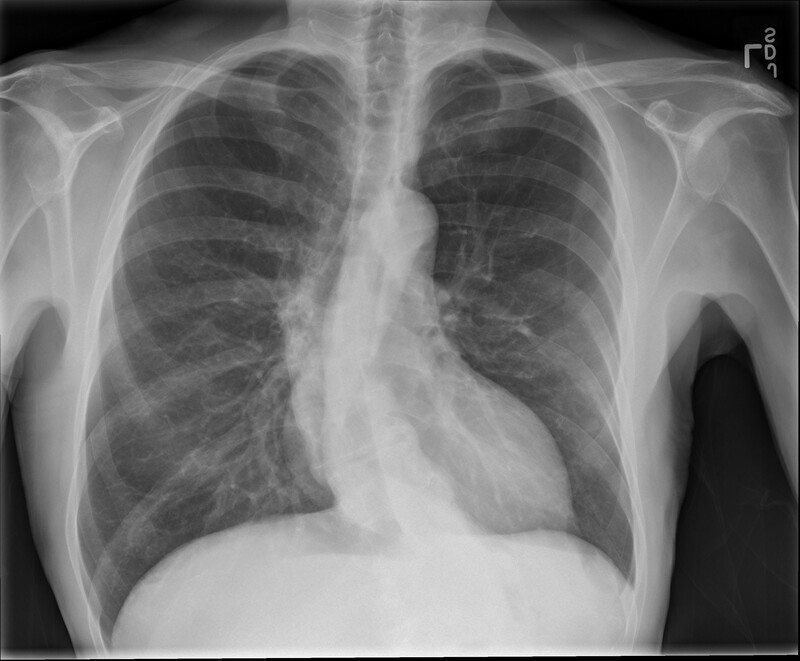 Frontal radiograph of the chest reveals moderate dextroconvexity of the thoracic spine and partial visualization of levoconvexity of the lumbar spine, or S curve scoliosis. Scoliosis is a general term to describe any lateral curvature of the spine. There are many different etiologies to scoliosis including idiopathic, congenital, degenerative, Scheuermann disease, tumor, trauma, and compensatory due to limb length discrepancy, for example. The Method of Cobb is the standard way of measuring scoliosis. An excellent summary of scoliosis can be found here.